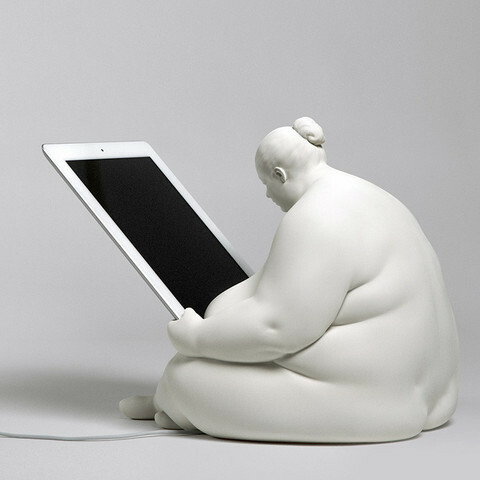 If It's Hip, It's Here (Archives): Venus of Cupertino iPad Docking Station by Scott Eaton. 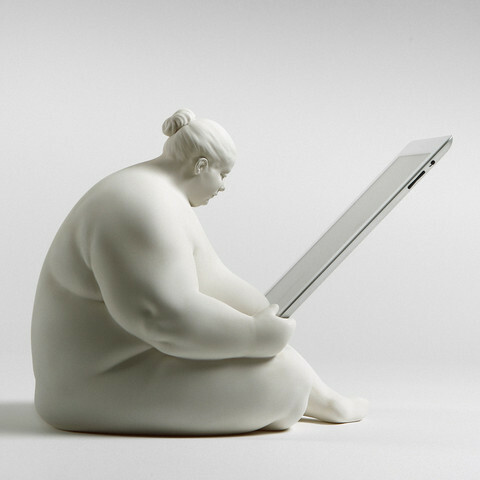 Venus of Cupertino iPad Docking Station by Scott Eaton. 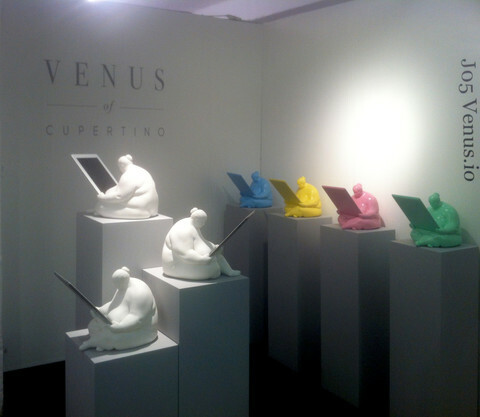 The Venus of Cupertino by Scott Eaton is a sculptural docking station inspired by the curvaceous forms and symbolism of ancient Venus figurines such as the Venus of Willendorf. She is a fertility goddess for the technology age. 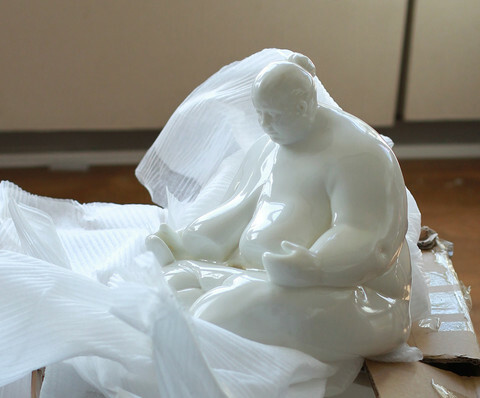 Each Venus is hand-cast in museum-quality resin and available in a gloss white or matte white finish, she is a fully functional iPad docking station. Her hands gently guide any second or third generation iPad onto a charger inconspicuously located in her midriff. A USB cable emerges from a number of points under the sculpture and fits any standard USB port or Apple power adapter for syncing or charging. The charging cable and connector are fully changeable in order to future-proof the docking station against updates to Apple’s iPad connectors. Please allow 8-10 weeks for shipping (She will be in time for the holidays). PRE-ORDER Venus Of Cupertino here.